Why would prehistoric humans decorate an object? This entry was posted in ARTH 114, Prehistoric art on August 28, 2018 by admin. There are two short and wonderful videos in the article. Enjoy! This entry was posted in ARTH 114, Prehistoric art on February 23, 2018 by admin. 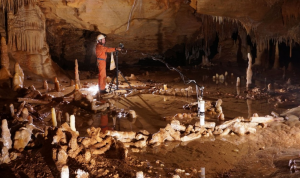 Tools have been found at an archaeological site in southern India that may date to 385,000 years ago…this is well before modern humans are thought to have come to India. Who made them? Read more in Sarah Kaplan’s article, “Sophisticated tools unearthed in India raise a question: Who made them?” Washington Post, 2/5/18, A14. This entry was posted in Archaeology, ARTH 114, Prehistoric art on February 11, 2018 by admin. This entry was posted in ARTH 114, Prehistoric art on January 16, 2018 by admin. This entry was posted in ARTH 114, Prehistoric art on January 17, 2017 by admin. 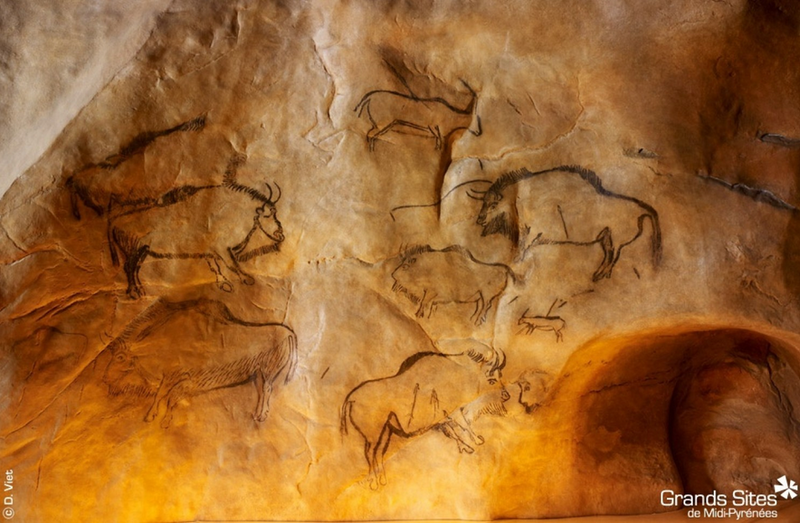 “The ‘Higgs bison’ mystery is solved with the help of ancient cave paintings,” by Sarah Kaplan, in The Washington Post, October 18, 2016 (online), October 25, 2016, E6 (print). This entry was posted in ARTH 114, Prehistoric art on October 26, 2016 by admin. This entry was posted in ARTH 114, Prehistoric art, Uncategorized on August 30, 2016 by admin. This entry was posted in ARTH 114, Prehistoric art on August 28, 2016 by admin. This archaeological site in Israel is near where the Dead Sea Scrolls were found. Archaeologists and volunteers are at work here now because the site has been looted and continues to be in danger. This entry was posted in Antiquities, Archaeology, Art and war, ARTH 114, Prehistoric art on June 10, 2016 by admin. An exhibit at the British Museum in London (through January 31, 2016) explores this great question. “…the term “Celt” was first recorded about 500 B.C. by the Greeks, who used the word “Keltoi” to describe various peoples living in different parts of the European continent. A map near the exhibition entrance charts regions stretching from modern Portugal, France and Italy as far east as Serbia, Bulgaria and Turkey, which Ancient Greek and Roman authors described as “Celtic.” For these commentators, “Celt” meant “different” or “foreign.” ” For the ancient Greeks, anyone who wasn’t Greek was a Celt. 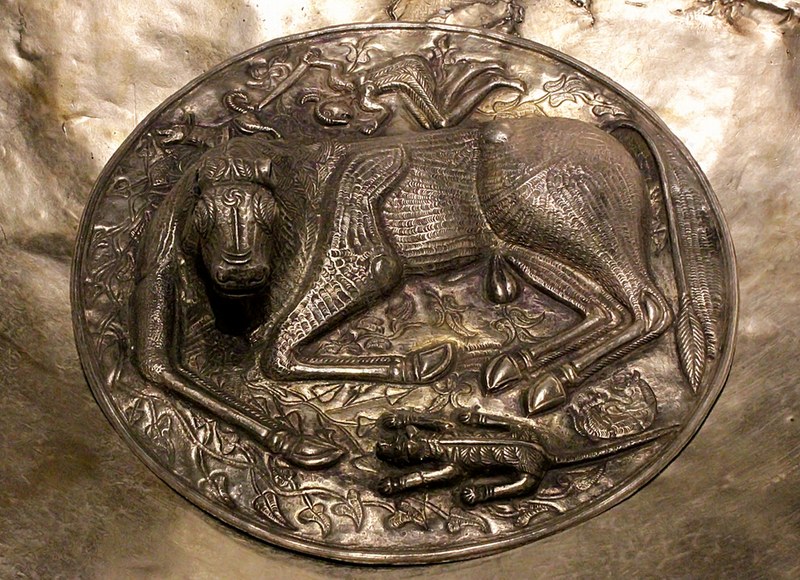 Interestingly, there are similarities in the arts produced by people across this vast Celtic geography. 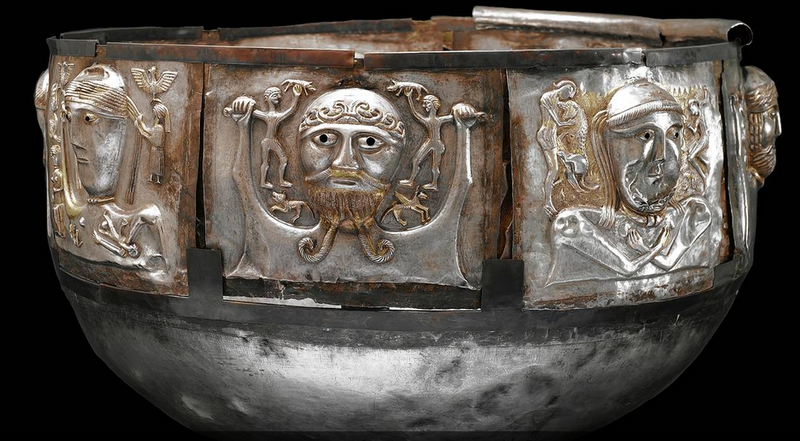 The Gundestrup Cauldron (above) is an important object in identifying the Celts. 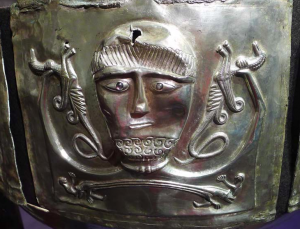 This was found in a bog in what is now Denmark, but it is believed to have been made in ancient Romania or Bulgaria. The bottom of the interior shows a bare-breasted woman warrior, sword in hand, jumping over a gigantic bull. Here is a detail of one of the exterior panels of a male hunter. Note the torc he wears around his neck. 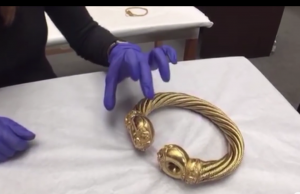 For scale, here is a torc from the exhibition….. Watch the sixth video! Here is a link to Barrymore Laurence Scherer’s review of the exhibit from the Wall Street Journal, December 7, 2015. And a link to the British Museum’s web site with several great videos, including this one (the sixth of six) in which the curators discuss a few of the objects. In that last video, be sure to listen to the “fox” at 14:48. This entry was posted in Antiquities, Archaeology, ARTH 114, Prehistoric art on December 18, 2015 by admin.